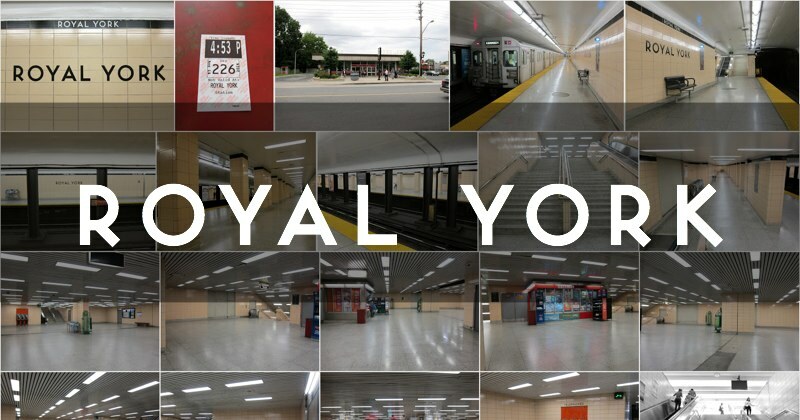 In case you were wondering, the name of Royal York subway station is, in fact, related to the far away, downtown Royal York Hotel. It’s convoluted, but when the Royal York was built by the Canadian Pacific Railway in 1927, one of the proposed guest perks was access to an eighteen-hole golf course that the CPR planned to develop in Etobicoke. This golf course, officially called the Royal York Hotel Golf Club, hosted the Canadian Open in 1933, and was renamed in 1946 to St. George’s Golf and Country Club. The concession road (historically known as Church Street) which ran from the Lake Shore Road north to the new course, was renamed Royal York Road; this name remains with us to this day, giving us Royal York station. When I was younger and watched a lot of movies, I often made the trek out here in order to catch a flick at the nearby Kingsway independent theatre. Remarkably the theatre is still there, but I’ve since lost my appetite for seeing movies on the big screen. Consequently it’s rare that I visit this station anymore. At night the red entrance sign sings with electric joy. Royal York opened on May 10, 1968, when the Bloor line was extended west to Islington. Listen to the station’s unofficial theme song.